The Fire Rescue Advisory Commission (FRAC) meets on the 2nd Wednesday of every month at 5:30 p.m. in the Emergency Operations Center (EOC) at the Fire Administration Building, 410 E. 5th Street. 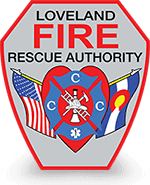 The purpose of the Fire Rescue Advisory Commission shall be to serve as an advisory body to the Board of the Loveland Fire Rescue Authority in the implementation of the fire authority strategic plan for the City and the authority. The Commission is made up of City and Rural district residents. In addition, the Commission shall serve as an advisory body to the Fire Chief concerning fire protection, rescue, and emergency management issues. The Loveland Fire Rescue Authority Board (LFRA) meets on the 4th Wednesday of every month at 1:30 p.m. in the Emergency Operations Center (EOC) at the Fire Administration Building, 410 E. 5th Street. January 2, 2012 the City of Loveland and the Loveland Rural Fire Protection District agreed to establish the Loveland Fire Rescue Authority. The intergovernmental agreement provided that this organization would be governed by a five person board with two City of Loveland Council members, the City of Loveland City Manager and two members of the Loveland Rural Fire Protection District Board.